Wine Wagon Tours serves the southern Okanagan Valley’s magnificent wine region. We specialize in tasting tours of boutique and unique wineries, providing private, customized, small group (2-6 person) excursions in 5 distinct areas, which also include local breweries, cideries and distilleries. We offer assistance and make suggestions in order to personalize your wine tour experience, making it more informative and pleasurable. The Wine Wagon looks after the driving so that our guests can fully enjoy and appreciate their time amongst the vines. 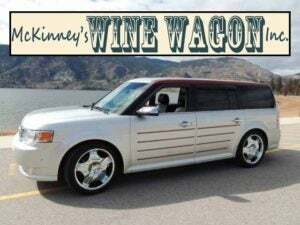 The Wine Wagon provides a private car service pick up and drop off for local wine events in the Penticton area. Let the Wine Wagon help you create a tour schedule that you can enjoy from start to finish, a memorable day in wine paradise! A transplant from the Vancouver area, Scott has a wealth of experience in the hospitality industry. He has spent many years dealing with customers and guests and has a wide range of knowledge when it comes to wine and the beautiful Okanagan Valley. He is personable, professional and always ready to accommodate your tour requests, whenever possible. The area produces a variety of fruits (peaches, pears, apples, cherries, apricots, plums), vegetables and herbs which are readily available at local orchards, roadside stands numbering in the hundreds and at seasonal farmer’s markets. This wealth of fresh grown produce lends the perfect backdrop for the growing number of wineries, cideries, breweries and distilleries that have sprung up in the region. There are over 100 Okanagan wineries and most can be visited for tastings. For more information on Wine Wagon Tours, please click here!